For those of you waiting on delivery of the game, it got help up at customs for while, but passed inspection last week. This means that you will hopefully be receiving your games soon and that they will be almost certainly be free of narcotics and uranium. I cannot thank you enough for being part of ending my Wannabe status. However, being the gift-horse-mouth-looker that I am, I would ask for one more favor. After you've gotten a chance to play the game, please take a moment to rate or write about the game on BoardGameGeek (if you're a member). The first few months after release are critical for a game's ability to reach a large audience, so any assistance in getting people to give it a chance will be much appreciated. More information on this should be coming your way soon. The next episode of the series is now up. I take a look at Gil Hova's prototype for Prime Time. 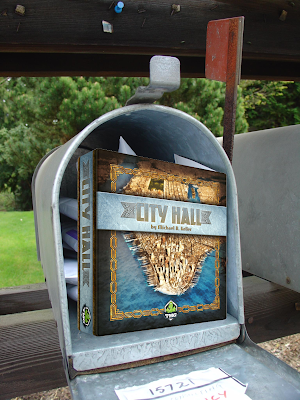 Tomorrow, July 22, at 7pm, I will be at The Uncommons in NYC with my copies of City Hall. Come by at 7pm and get to play the game early. 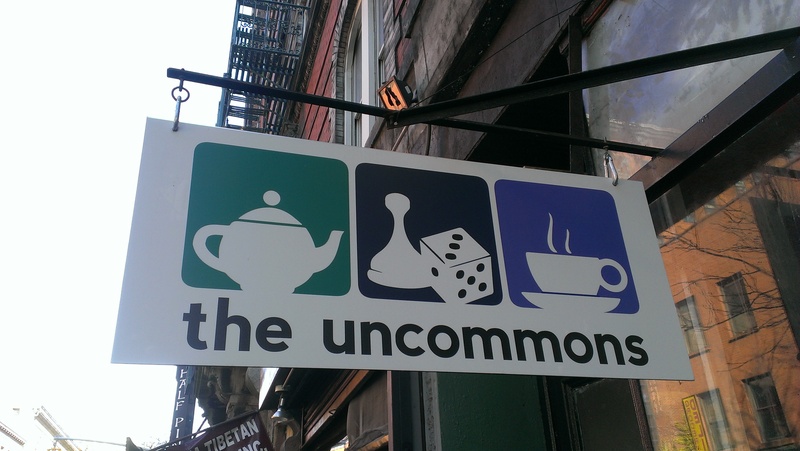 Exciting that you are demoing at The Uncommons! Looking forward to it! Will they have copies for sale? Unfortunately, they won't have it tonight because the game has not yet been shipped out to backers first. However, if you express your interest in the game to them, they might consider stocking it once it is available through the distributor.